Christmas 1984. One of my presents that year was the album Arena by Duran Duran. It was a live album recorded from concerts around the world. Critics were dubious if the album really was live or were the crowd bits just added in on a mixing desk. I didn't care either way. Bar Smash Hits! most critics in the media were dubious or scathing of Duran Duran anyway, they were then simply the pop I most liked. Back in 1984 teenagers, mainly girls, were always very loyal to either Duran Duran, Wham! or Culture Club. I liked all 3 groups. I had posters of John Taylor and Simon Le Bon on my bedroom wall alongside Madonna and Cyndi Lauper. Nobody I knew liked pop in school. Arena featured singles such as Is There Something I Should Know, Union Of The Snake, The Wild Boys, Hungry Like The Wolf and Save A Prayer. Save A Prayer should be my favourite Duran Duran song but there was one song that was better. That song was The Chauffeur. It was an album track on their Rio Album. The words the chauffeur are never sung in the song but Sing Blue Silver is. Sing Blue Silver was the name I wanted to use for my blog originally but that blog is v different to this one if you check it out. They are the three words that remind me of a whole period of pop music. 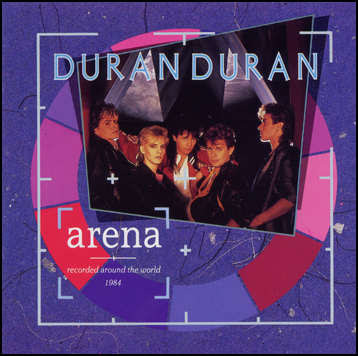 I loved the Arena album because I never thought that I would ever see Duran Duran in concert. Then one day a few years ago I read on Teletext that they were to play Dublin. I was 15 again. My good friend Brian said he would go even though he didn't know some of the early songs. The concert was simply like being in a video. Though not The Reflex video. The band were all high on the nostalgia that 1980s bands were gaining from the nostalgia tours that still are happening today. The crowd was mainly women aged 30+ but there were guys there too. I smiled at the thirty something guys standing near us singing along football fan style to Wild Boys and Hungry Like The Wolf. You never sang those songs on a Ballinasloe street back in 1984 I thought to myself. The concert was one for the true fans and the band performed all the singles. They also performed The Chauffeur. How wonderful it sounded in a live concert, as good as it did one Christmas from a vinyl record. One of the last songs they performed was a cover version of White Lines (Don't Do It) by Grandmaster Flash & Melle Mel. I never knew that Duran Duran had a hit with it in 1995 from their album Thank You. At the end of the concert I tried to get a copy of the set list from the stage. Instead what I got was the lyrics of White Lines. Who were they for? Simon? Who knows. It's a great souvenir. Duran Duran are of course famous for their videos and video films. The Chauffeur was never a single but it had it's own video which was very influenced by the film The Nightporter. I don't know when I first saw the video but it is one that tells a guy if he's straight or not. That video is of course 'embedding not enabled!!' and can instead be viewed here. This is song number 26 of my 40. From the albums Rio in 1982 and Arena in 1984 this is The Chauffeur by Duran Duran. This is a version performed as part of the 1984 Cinemax/MTV film As The Lights Go Down. Of the 40 songs on my list I've decided to just post ones that can be accompanied by a Youtube video. This is not easy when all the many Prince songs that I could select are not on Youtube or the audio is forever silent. This annoys many a Prince fan but that's what makes him Prince I just. I think it's to do with his Napoleon complex! I can't think of music from the 1980s without having Prince on that list. There are so many quality Prince songs but almost all of them are from Purple Rain, Parade and Sign O' The Times. Other songs include Lady Cab Driver, 1999, Little Red Corvette, Alphabet Street and I Wish U Heaven. So here I will only mention two of the best on my list. I only watched Purple Rain, the film, for the first time last year. I think I was always a bit nervous that I would be disappointed by it. The album is in my top ten albums of the 1980s and I didn't want the icon status of the songs diminished. But how wrong I was because Purple Rain the film is the songs. They are the film's heart. It is a very sexual film and it's violence towards women such as the character of Apolloina is something that unnerved me but it all is part of the background story. I loved the whole feel of the film especially the scenes with Wendy & Lisa and the Revolution as well as Morris Day and the way that the songs are performances played in full. It was a true 1984 musical. When Doves Cry was my favourite song for years and the title of my blog is a tribute to that song. Take Me With U just makes me happy every time I hear it. Let's Go Crazy = Perfect. 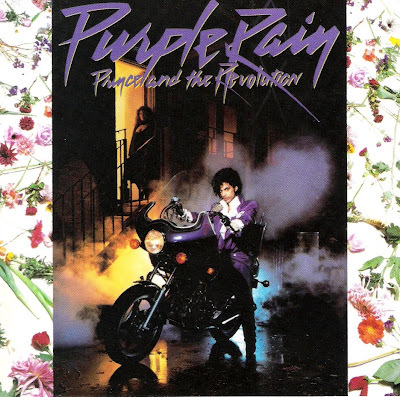 Like most very famous songs, the album's title track Purple Rain would be my least favourite though it is the definition of the great songs of the 1980s. It is the song The Beautiful Ones that is song number 24 of my 40. There is all you need to know about the song here. I also liked Mariah's cover of the song with Dru Hill on her 1997 album, Butterfly. A brave choice of cover version at the time. 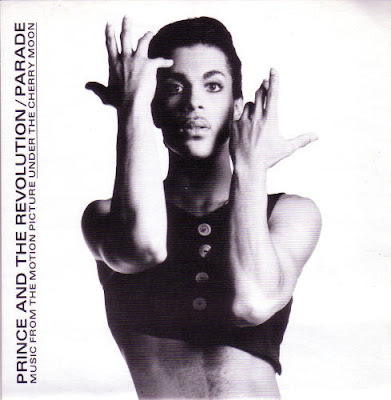 The second Prince song on my list is from the 1986 album Parade. My favourite single is not Kiss but Girls and Boys. Mountains comes a close second. The song on that album that is number 25 on my list was, like The Beautiful Ones, an album track and it is Sometimes It Snows In April. It's lyrics were by Prince and music by Wendy & Lisa who will get their own post soon here on this site. I remember listening to the lyrics and just hearing a song being sung by a man about another man and since then it has always meant something to me even with all that Prince may believe himself these days. Last year I was so disappointed when Prince cancelled his Dublin concert despite selling over 57,000 tickets. I have seen him twice in concert though. Of course neither songs on my list can be posted here but a cover version can be. Vanessa Paradis did a nice version of Sometimes It Snows In April years ago but here is one by Zabeth Dkos. In 1985 the German group Propaganda released two classic singles. Both were featured on their second album A Secret Wish. 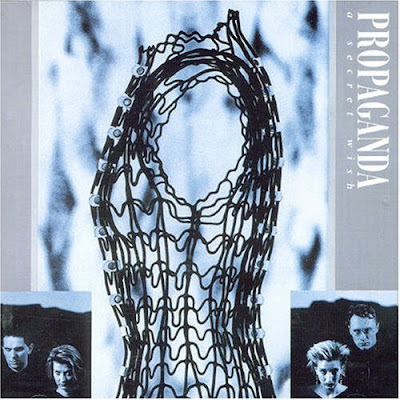 Propaganda were fantastic synth pop. They were on the famous ZTT label and produced by the genius Trevor Horn. Singer Claudia Brucken was fabulous then and still is today. Their first great single was Dr Mabuse which got to number 27 in the UK charts and was a top ten hit in Germany. The second song by them is song number 23 of my 40. This is Propaganda and Duel. Sophie Ellis Bextor did a Sophie Ellis Bextor type cover of the song many moons later. Here's her version. The great joy about having my own radio show was that every week I choose my own playlist. The songs I played on my show weren't always ones that I heard on other Irish radio stations. I used to buy the music magazine Record Mirror each week and it had a full listing of international charts, I think that magazine is a reason why I was so obsessed with chart positions and hit singles. It is a lifetime obsession. I loved the American chart the most and that's why I find it is a bit sad that the American chart can be a very dull one these days. In the 1980s there was amazing mix of genres in the Billboard Hot 100. Pop, rock, ballads, r'n'b, dance. 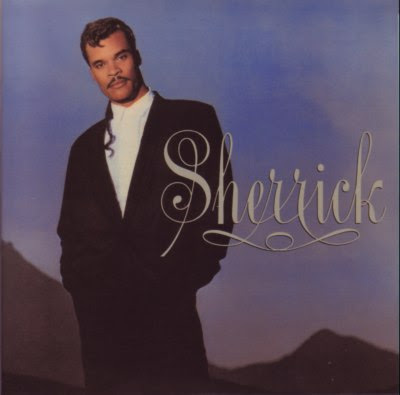 One of those American songs that I played on my radio show in the mid 1980s was Just Call by Sherrick. There isn't much about him on the net bar this page. He died in 1999 when he was just 41. This is song number 22 of my 40. From 1987, a song that got to number 23 in the UK charts this is Sherrick and Just Call.